He won Pulitzers in 1979 for the "Observer," the Times column he wrote for 35 years, and in 1983 for his autobiography "Growing Up"
In this Oct. 17, 1983, file photo, New York Times columnist and Pulitzer Prize winning author, Russell Baker, is pictured at his office at the New York Times in New York. Pulitzer Prize-winning author and humorist Baker has died at age 93. 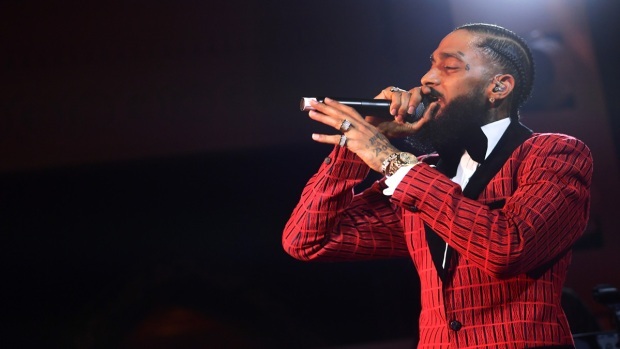 Allen Baker told The Associated Press that his father died on Monday, Jan. 21, 2019, from complications after a fall. 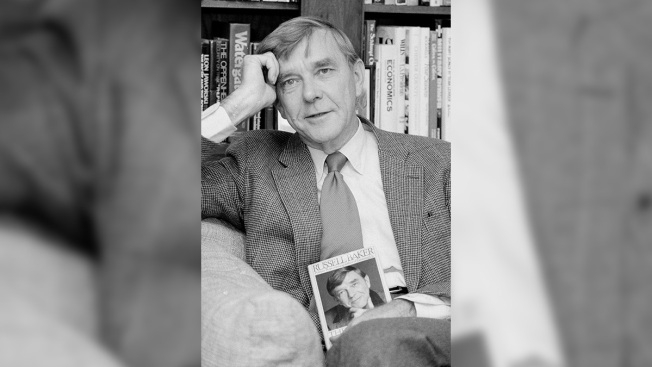 Russell Baker, the genial, but sharp-witted writer who won Pulitzer Prizes for his humorous columns in The New York Times and a moving autobiography of his impoverished Baltimore childhood and later hosted television's "Masterpiece Theatre," has died. He was 93. Allen Baker told The Associated Press that his father died on Monday from complications after a fall. Baker in his later years, he lived in Leesburg, Virginia, not far from the rural community of his native Morrisonville. Amiable and approachable, but also clear-eyed and street smart, Baker enjoyed a decades-long career as reporter, columnist, critic and on-air personality. He won Pulitzers in 1979 for the "Observer," the Times column he wrote for 35 years, and in 1983 for his autobiography "Growing Up." The Great Depression and World War II shaped Baker's early life. He began his career as a reporter in 1947 and rose to become a national New York Times reporter in Washington, D.C., in 1954. He covered Congress, the military and State Department during the Eisenhower and Kennedy administrations before tiring, he would recall, of waiting for politicians to come out of meeting rooms and lie to him. He drew upon those experiences for his column, writing as a curious and wide-eyed outsider who could leave an adversary buried under the weight of common sense. "On television we see President Reagan in a cave. It is the Mammoth Cave, one of America's great caves. The TV news reader says the President has come there to create 'a photo opportunity.' Here is President Reagan on television again. He is looking at a bald eagle. The President and the eagle are in the same room enjoying 'a photo opportunity,' according to the TV news voice," Baker wrote in 1984. "His environmental policy has been characterized by a reluctance to do anything that would create difficulty for the business community. It is entirely possible to defend this position with persuasive argument. The President of the cave and the eagle, however, is not defending a sensibly thought-out policy; he is being used to deceive us into thinking that he is what he, in fact, is not." Baker didn't ask to be called a humorist. During a 1994 speech in Hartford, Connecticut, he said his goal for the "Observer" was to render the federal government, politics and diplomacy accessible through plain, easy-to-read language. It was to be more widely appealing than the "High-Church, polysyllabic" writing common in The New York Times. "Well, as I soon discovered, in those days if you wrote short sentences and plain English in the Times, everybody naturally assumed you were being funny," he said in the speech. Baker's targets included his own profession. "Those who expected me to have something to say had obviously never heard the classic definition of a newspaper man: 'A man with nothing on his mind and the power to express it,'" he said during the Hartford speech. He wrote a second autobiography, "The Good Times," to follow "Growing Up." The first focused on his childhood, the second on his early journalistic career. Baker would eventually write, edit or contribute to more than 15 other books, collections and assorted works — including a musical play and children's book. Baker was born in 1925 to stonemason Benjamin Baker and schoolteacher Lucy Elizabeth Baker. He married Miriam Emily Nash in 1950 and had three children: Kathleen, Allen and Michael. Benjamin Baker died of untreated diabetes when his son was 5. Lucy Baker struggled through the Great Depression as a single mother living in Baltimore. Russell Baker remembered his mother as a key influence driving him to succeed. "She would make me make something of myself whether I wanted to or not," he wrote in "Growing Up." Baker served in the U.S. Naval Reserve from 1943 to 1945 and was trained as a pilot during World War II. He graduated from Johns Hopkins University in 1947 and began his journalism career that year as a police reporter with The Baltimore Sun. He became the newspaper's London bureau chief in 1953. Baker took over as "Masterpiece Theatre's" host in 1993, succeeding Alistair Cooke, and remained until 2004. Baker's on-air commentary for public television focused on providing critical perspectives on featured works along with historical context. He also provided insights into the original authors' approaches and detailed liberties taken to adapt the literature for television. He wrote long-form reviews and other articles for The New York Review of Books during his years following the Times. He told a reporter for the Times Union, located in Albany, New York, in 2002 that the assignments were more rewarding during his retirement than the "hyped-up" work of column writing, when "you're sweating it out worrying if they'll read past the second paragraph." His final column ran on Christmas Day, 1998. An Associated Press story at the time described it as a quiet adieu. "He apologized for talking about himself," the story read, "remembered warmly a pope, a couple of presidents and his Uncle Allen, and concluded he had said enough for the time being."